This entry was posted in Uncategorised on 4th December 2017 by William Collins. Women’s Aid doesn’t want a presumption of no contact only in cases where there are allegations but in ALL cases unless the father can prove that contact will be supportive of the mother and of demonstrable benefit to the child. Any application by a father for contact should be treated with extreme scepticism and regarded as a violent intrusion into the mother’s autonomy. They have been quite stealthy in working towards this, but it has long been an aim of feminists such as Audrey Mullinder, former principal of Ruskin College, who advocated a ‘rebuttable presumption of no unsupervised contact unless evidence can be produced that it will be safe’, or the authors Jalna Hanmer and Catherine Itzin who argued for the same in their 2001 book Home Truths about Domestic Violence. In 2002 Women’s Aid was taken to task in the report Making Contact Work for misrepresenting the consultation which led up to the report by seeking to represent domestic violence as a factor in ALL cases; Making Contact Work was concerned only with those cases in which DV was NOT a factor and DV had been considered in the earlier report by Sturge and Glaser. Ultimately, an application by a father for contact will be seen immediately as putting the child at risk of experiencing parental conflict and will automatically be dismissed. And if they achieve that, WA certainly won’t stop there. Two observations. The first that the MoJ is trying to deal with the sharp upswing in Domestic Abuse allegations in Family Court proceedings following the ending of legal aid (mainly given to mothers/women) for all cases except where there is an allegation of DA. The MoJ is not Altruistic in this the upswing effectively wiped out the expected “savings” on legal aid that would have been made had DA accusations remained at their pre change levels. The second: Please please please any reader do not presume officials read their own Gov. funded research or data. After over 30 years of swimming in social and healthcare I cannot emphasise too much that these are full of people who are completely ignorant of the information other than Guardian articles. It is tedious I know but do take any and every opportunity to push official data/reports at officials. Ten to one it will be the first time they’ve seen it. Finally thank you Mr. Collins for your work in bringing this information together. Meant to say at the end of my previous comment. The quality of all your blog posts and research are fantastic and brings strong evidence to bear on subject areac which is almost entirely debated in ignorance and prejudice. 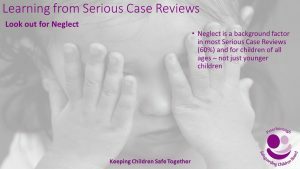 In respect of your comment, recall that DA is alleged in about half of ALL cases of child arrangement disputes in the family courts – of which these nasty cases resulting in SCRs are an extremely tiny percentage. The fact that a DA allegation ‘predicts’ the perpetrator in about half of SCRs is therefore what one would expect if DA were completely uncorrelated with risk to the child. If DA is alleged in half of all cases and 71% of serious case reviews then a DA allegation is more likely in cases the results in SCRs and less likely in those that do not so there is some correlation although not very much. If there was no correlation then the probability of DA in SCRs would be the same as in the general population. The practical use of this is nil because allegations of DA are so common and it has no use at all in predicting who is the threat to the child. It suggests that the accuser in cases of DA should be subject to the same level of scrutiny as the accused from a child protection point of view. You say that the evidence from the CAFCASS review is that allegations of domestic abuse is not a risk factor because in roughly half the cases in which domestic violence was alleged the perpetrator of child abuse was not the person accussed of domestic violence. It can be a risk factor for a child while not being a good indicator of the source of the risk. The fact that an allegation was made in 71% of cases suggest this although this depends on the distribution of allegations generally. 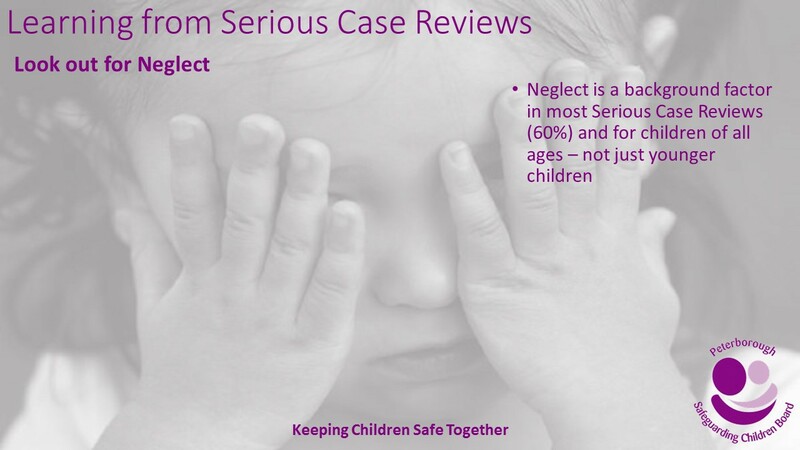 It is a risk factor if the proprotion of children subject to a serioss case review for which there is a related domestic abuse accusation is higher than the numbe rof children not subject to a serious case review with an associated accusation. This can’t be assessed by just looking at one of the two groups. This depends very much on the populations being compared which starts to get quite difficult. The appropriate population is not all children but children in which CAFCASS have involvement. The key point is that an allegation of domestic abuse is not useful in determining how has custody or access from a child protection point of view and that child abuse is often perpetrated by the accuser not the accused.